In order to apply for most creative jobs, you really ought to have a well designed, printed, bound, hard copy of your collective work. Those printed pages need to have something to hold them…and something to hold that particularly if you live somewhere that threatens that whole configuration with snow or rain. For a broke college grad holding one of the most expensive majors one can get, applying for jobs is already an expensive pursuit. Before even getting to an interview, you’re not simply printing some MS Word doc, you might be pricing out full-bleed designs, portfolio pages, maybe a printing or producing a leave-behind, using good paper stocks, and then paying for postage (I even used custom stamps with my logo). In short, you’re attempting to design things that will catch someone’s eye from envelope on. With all that in mind, I devised a plan to construct my portfolio case myself to save some money. I bought hard material to keep my portfolio from bending, I sewed on a faux leather material around it, I put zippers into the case—the whole works. It looked pretty great actually. The only problem was that it got a ‘little’ heavy. For some interviews, that wasn’t too much of a problem; it was manageable. That is, until it wasn’t manageable for one in particular. By the time I made it from the parking ramp, up the elevator to the 27th floor (yes, 27th floor), past reception, through the waiting room, and finally to the interview room, it had most definitely become a problem. As I set the case down, I turned my face away. This was intentional. In the process of holding the (what turned out to be surprisingly) heavy case, my arm muscles had actually locked around it. I mean really locked. You know in the movies when there’s this quick “aside” with the actor turning and making an expression only the audience sees? It was that. Unfolding the case from the lock of my arm’s grip was like trying to casually swing open a frozen car door. My arm was dead weight. I tried to play it cool with my useless arm as I was asked to fill out some papers and then flip through my portfolio to show the interviewer my work. All with my unresponsive arm. The interview went well, but the whole scenario still makes me laugh. After all that work on what seemed like a simple enough idea, I was still faced with either needing to buy a different case or to use that knowledge to make a new one because what I had was a very well-made (albeit poorly conceived) arm weight. It was a good lesson to learn. It serves as a good lesson in business, actually. When I hear people discuss how to DIY their logo, their product shots, their accounting…I empathize and also cringe. This falsely assumes that every effort has a comparable result or that a comparable result can be obtained with practice. No. If you want a professional result, then you need to hire a professional. The years of experience and training they have can’t be achieved with a “weekend warrior” agenda. Sometimes you really can save money going the DIY route…but oftentimes that mindset is a total trap because it’s looking only at immediate or tangible costs. Making something yourself requires the right tools. It also requires another commodity—your time. The money and time you spend pouring into something that’s not your main thing means you’re not pouring those investments into doing your main thing. That’s not strictly cost effective. Once you factor in tools, supplies, and the time you’re expending to do the project, a project might very well end out costing yourself far more money in the end than if you’d gone ahead and hired a professional from the start. Well, it might help you in the (very) short term…but maybe not for as long as you think. The time, money, and frustration you invest into doing something on the cheap, you’re setting yourself up to still have to go back and do it better, later. 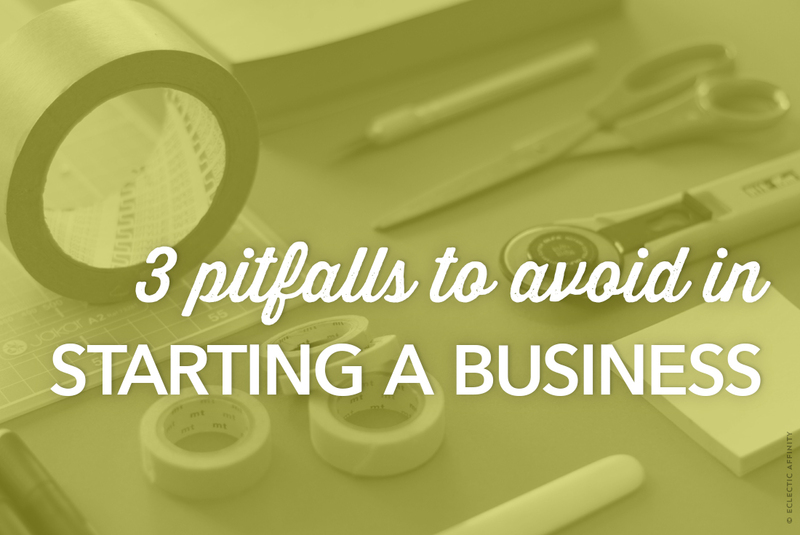 By then, your business has hobbled along with a sub-par logo, poorly done photos, or a bad marketing plan. DIY can lure you into thinking you’ll save money, but in the end you waste time and spend more money than if you would have just bought the original, intended item or service to begin with instead of having to go back and do damage control later. Invest in your business. Build the business you want to have so that you like what you’ve built. It will most likely save you in the long run.